Is there anything more magical than a floral crown? I sure don’t think so! I dare you to put one on and not feel like a goddess!! If you follow along on Instagram or Snapchat then I’m sure most of you know I recently attended a Cocktails + Crowns floral crown party with several other West Texas bloggers and let me tell you, it was a night to remember! 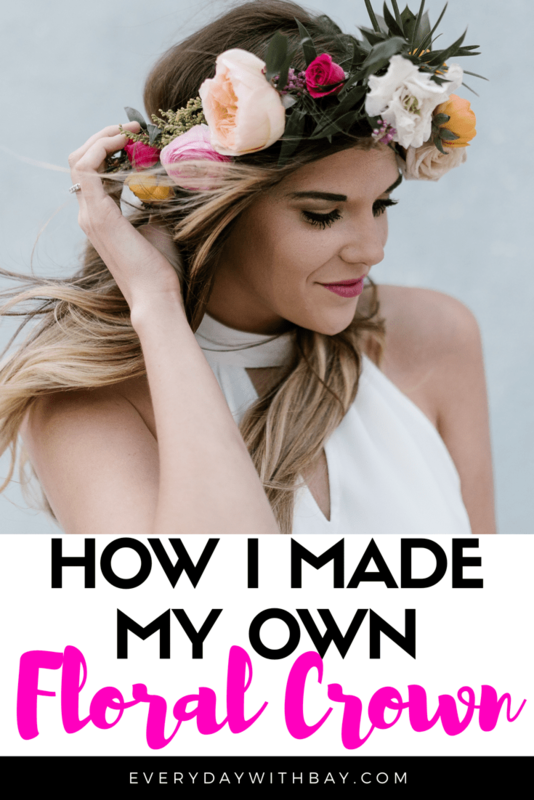 Michelle of Poppies and Peonies Floral has decided to bring these floral crowns to Lubbock and the surrounding areas for some much needed unique things to do! Michelle is extremely gifted and is the sweetest! I want to break down how our night went and give you a few details etc! We attended the party in the most adorable boutique in downtown Lubbock, Jux-Ta-Posh! If you haven’t we’re been there I highly suggest making your way down there and looking around! Kim, the owner has the cutest setup and the most unique & precious items as well as clothing! It was the perfect location for a swanky floral crown party! Oh, and every Saturday from 10-6 Michelle offers a flower bar at Jux-Ta-Posh where you pick your stems, pay by the stems and watch Poppies and Peonies work their magic! Ok, now back to our events for the night! We were greeted upon arrival with the most delicious drink (a mix of sparkling wine and raspberry lemonade) and as many desserts from Evie Mae’s BBQ as our bellies could hold! Let me tell you, they were amazing! From cupcakes to tarts we were spoiled! If you haven’t heard Evie Mae’s will be opening a bakery soon so that’s amazing news! Once we all arrived and started snacking Michelle explained the vision of her company and things she wanted to see for her business! It’s so refreshing to meet people who have a pure heart for pleasing others through their gifts and Michelle’s is definitely creating beautiful arrangements! Next on the agenda was creating our floral crown! I’ll be honest I was hesitant in my ability to create something that beautiful! She showed us lots of pictures and in my mind I was thinking “I am NOT crafty and there is no way mine will turn out like that” Well low and behold Michelle is also a great teacher and we all created beautiful crowns after listening to her instruction! I was amazed at everyone crowns and how unique they all were! It was the most fun girl’s night and I can’t wait to do it again! I’m looking for ANY excuse to get a group of girls together! Any takers? After our crowns were complete we tied them on to our heads with some beautiful chiffon ribbon that Michelle makes and sells! It’s so dainty and absolutely perfect for the crowns! Once everyone’s crowns were tied and set we went outside for some pictures! Of course the wind was blowing but Amber of Honeybee Photography captured some of the most amazing shots of our creations! You can find here photography information here! She was the absolute sweetest and captured the entire night so perfectly! I loved being with my West Texas blogger girls and of course we had the best time sharing the night across our social media pages! And finishing off the night Michelle sent us home with the cutest gift baskets full off a “flowers & chocolate” coffee mug, chocolate of course, some chiffon ribbon and the sweetest mommy & me crowns! Let’s just say Greleigh is obsessed!! You can shop directly from her website here! Overall the experience was one I will never forget! Michelle, Amber and Kim were all so welcoming and truly a breath of fresh air to spend the night with, because you all know my girl’s nights out are my saving grace and this one was no different! You can find more of Michelle’s prices and packages on her website here! She will be offering this for little girl’s parties as well so I’m thinking we might be doing this for Greleigh next year! Thanks to Poppies & Peonies floral for inviting me and teaching me a skill I never thought I could accomplish! All of our floral crowns turned out perfect & we had the most fun making them! I truly love everything about this company and can’t wait to see what she comes up with in the future for her business! You can follow along with them here!